THE OLD Nesting school has moved one step closer to becoming a community asset complete with childcare facilities, a gym and workshop space. 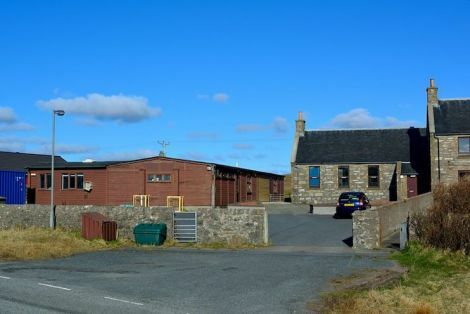 Community Development Company of Nesting has now taken ownership of the Aald Skül and surrounding land in Vassa, South Nesting, in what was the first time property has been acquired from Shetland Islands Council under new asset transfer legislation. The company was previously granted £47,109 from the Scottish Land Fund to put towards purchasing the site. The money – in addition to funding from Shetland LEADER and the council’s economic development fund – will also be used to employ a development worker. The transfer took place thanks to part five of the Community Empowerment (Scotland) Act 2015, which allows community bodies to make requests to local authorities for assets that they feel they could make better use of. The council’s development committee Alastair Cooper said: “This is the first time we’ve been able to successfully conclude a formal request by a community group for the transfer of assets.